You don’t need to rush out and upgrade to an iPhone 5. Now clearly over 2 million people probably don’t agree with this blog post, but hey why try and be popular. 😉 According to Chris Taylor’s Mashable Op-Ed piece, if you haven’t already joined the millions vying for an iPhone 5, you don’t have to. Chris gives two main reasons for not joining the herd, iOS6 and the S series. The new iOS6 will be available in a few days (September 19th) and it apparent is a “quantum leap forward” for Apple’s operating software. It will included better social integration with Facebook and Twitter, a new Maps app providing turn by turn navigation (but no public transportation), and a “smarter” Siri. Chris brings up an interesting good point about the S seriews of iPhones. “The S cycle, we can start to see after two of them, is where Apple tweaks the iPhone to perfection. Because the number isn’t changing, the company tends to add more features to justify your upgrade. ” So by waiting for the iPhone 5S (which we assume is the next version) people get the upgraded device with the new “S” enhancements. One of the reasons iPhone has started to become more popular with IT departments as RIM circles the drain is that there is little diversity within the iPhone world. An iPhone is an iPhone, they all get an upgrade (unless you have an iPhone 3 or 3G then it is too old), they all have the same manufacturer and they all operate pretty much the same way. The downfall of the Android was its diversity when our IT department tested them. In an organization with 30 thousand employees, several thousand of which have a company phone, you need as little diversity as possible. With BYOD (Bring Your Own Device) businesses. That is why some think the Windows devices with its “baked in cybersecurity goodness” might be poised to strike big among businesses. 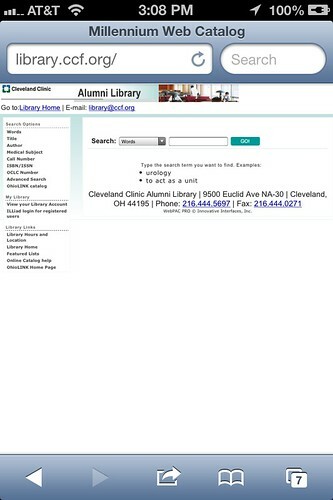 What does this mean for medical libraries? It means that we need to keep an eye on these things and think about our resources and how they work. Can we design for every device? No that is why we need to look at web design not apps for our important systems. How Do I Generate Interest in QR Codes? This project was to increase awareness our patron’s awareness of our e-book collection and I am worried I am going to going to become Sisyphus in the process. E-books are hard for patrons to know about. We still have a large group of users who peruse the stacks for books on a topic. 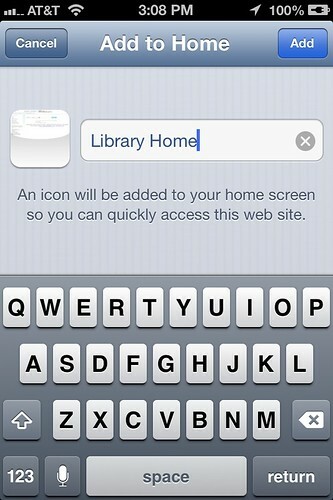 Put the subject list of e-books within eyesight of those who browse the shelves. Create a brightly colored message to be displayed on the shelves informing people of our ebooks and how to access them. 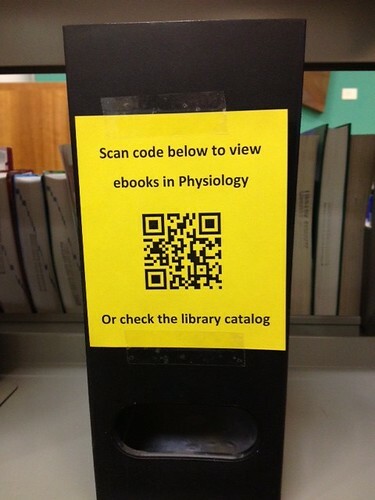 Users will see the QR code and scan them with their smartphone to view a list of ebooks within that subject. We are using http://www.delivr.com to create the codes and track their usage. 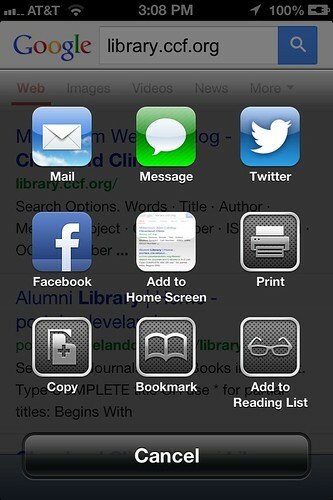 Users without smartphones will see the note and check the catalog for ebooks. Used bright yellow paper and old unbound journal holders. Made multiple notices for each subject area depending on the size of print collection (area it spans on the shelves). 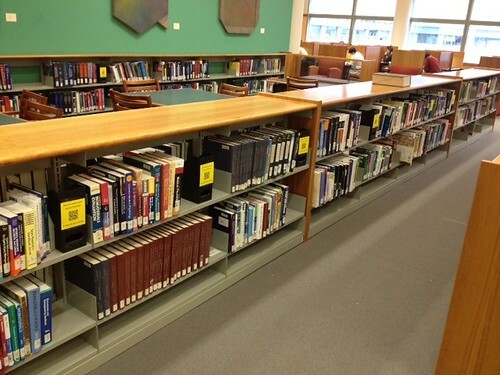 Distributed the notices through out the stacks within each subject area and spaced for maximum viewing opportunity. We haven’t invested anything into this project other bright yellow paper and my time. We used the many unbound journal holders that we had left over from our print journal days to post the yellow paper and as place holder in the stacks. Even the QR code generator and tracker is free. 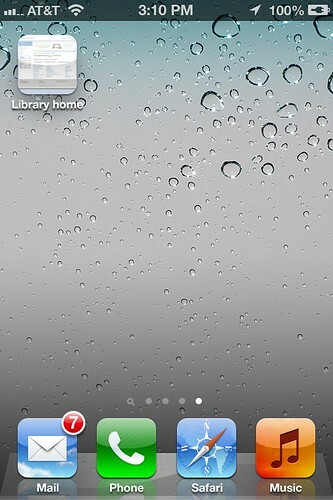 The only thing that really wasn’t free was our e-books but we bought them long ago before QR codes were known to geeks. So while we haven’t invested anything in the project. We have a vested interest that our e-books get more usage. This project is just another way to drive attention to them. Still, I am plagued by a persistent little voice in my head asking whether people will even bother to scan these codes. Because according to the CNN Tech article, Why QR Codes Aren’t Catching On, “many people don’t understand what QR codes are or what to do with them.” The article cites a study by Archival which found that while “80% of students owned a smartphone and had previously seen a QR code, only about 20% were able to successfully scan the example QR code they were shown. Furthermore, about 75% said they were unlikely to scan a QR code in the future.” Even if people know what a QR code is and know how to scan it this Market Plan post says, Consumers Still Don’t Know What to do With QR Codes. I really want this project to work, but these articles suggest I have an uphill battle. It is going to take a lot of promoting and educating to get this QR code thing moving. 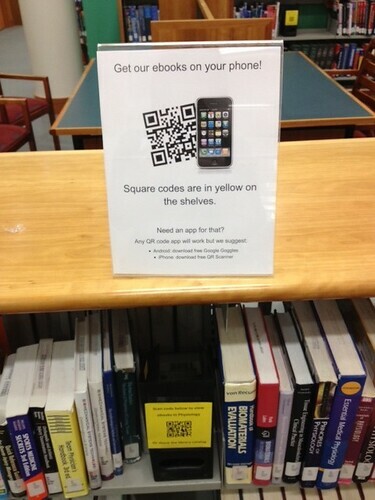 I have begun to post signs through out the library and strategically next to QR codes in the stacks (see the yellow code below the sign) promoting our e-books and the QR codes. 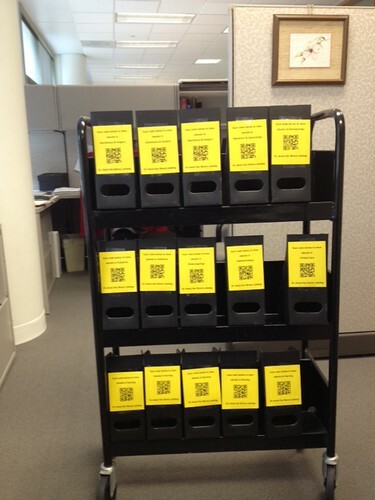 I finally got all of the yellow QR code signs in the stacks and the advertising signs up on Friday. It is Monday and while I know I have a long way to go before I know if this project is boom or bust, I need to come up with some more educational and promotional ideas to get it off to the best possible start. So I am asking you all in the library world to throw me some suggestions via your comments. The suggestions won’t only help me, they will help others who are thinking of doing the same thing. Posted on February 27, 2012 February 24, 2012 Author KraftyLibrarianCategories Electronic Access, Journals and Books, SmartPhones, Technology14 Comments on How Do I Generate Interest in QR Codes?